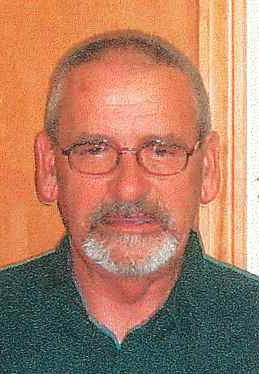 Donald James Baird was born June 29, 1945, in Nobles County, Minnesota to James Douglas and Paula Helen (Weise) Baird. He passed away on January 10, 2019, at the age of 73. A memorial service will be held Saturday, January 19, 2019, at 2:00pm in the Whitt Funeral Home Chapel officiated by Pastor David Hale. Arrangements have been entrusted to Whitt Funeral Home. Don attended school in Harris, Iowa. He married Elaine Louise Immens on August 14, 1965, in Round Lake, MN. Don worked for John Deere for 45 years and was the parts manager at the store located in Duncan. He loved to drag race along with his son and also enjoyed hunting. Don is preceded in death by his parents, James and Paula Baird, and sister, Beverly Speiker. Survivors include his wife of 53 years, Elaine; children, Sheila Gilmore and husband Tom of Elmore City, and Brent Baird of Duncan; grandchildren: Kendra Phillips, Brooke Bentley and husband Beau, Jake Phillips, Baileigh Gatlin and husband Ben, Blake Baird, and Brock Baird; six great grandchildren; sister, Maxine Meyer of Spirit Lake, Iowa; and sister-in-law, Kay Hoekstra of Gillette, Wyoming. Memorial contributions can be made in Don’s memory to the Taylor LeNorman Cancer Center, 2110 Duncan Regional Loop Road, Duncan, OK 73533.